Working on HVAC equipment demands several skills, one must be able to work with electricity, hand tools, and test equipment. High-pressures, high temperatures, extremely low temperatures, high voltage and High electrical current are some of the hazards presented by HVAC system hence the need to observe safety during and after installation. The following are five major measures to consider when dealing with HVAC system. Any time you’re exposed to contaminants like dust, gases and other debris, you will need a respirator to avoid breathing in any harmful particles. If the respirator lacks eye protection, it’s necessary to wear either goggles or a face shield to keep your eyes safe from contact with liquids or flying particles. Gloves and arm protectors need to be worn when handling anything that could lacerate you such as sheet metal and glass. Slip resistant shoes should ensure that you maintain steady footing, which is important when dealing with potential leaks and slippery floors. If you’re in an environment where objects may fall from above, a hardhat or some type of helmet is a good idea. Also, earplugs should be worn whenever you’re in a loud environment for an extended period of time. playing part of installing HVAC system is using the right HVAC tools for the specific job at hand. Before starting out on jobs, you will need to have acquired an assortment of tools like wrenches, wire strippers, an anemometer, clamp meter and vacuum gauge. With the ever-present threat of gas and radiation leaks, having a leak detector is also important. Keeping everything in working condition through routine maintenance is critical for staying safe on the job. Before jumping right into a task, it’s critical to take the time to make an assessment and know exactly what you’re up against.You should identify any potential hazards on each job site and take the proper safety precautions before going forth. It’s better to take a bit more time to get the job done right and stay safe than rush it and wind up seriously injured.it’s also smart to participate in additional electrical safety training to those workers working with or around electrical current, including proper rescue procedures. On a daily basis, you’re likely to encounter a range of chemicals that can pose a serious threat to your health. Everything from refrigerants and cleaning liquids to solvents and detergents can be problematic if handled incorrectly. In some cases, certain combustible chemicals can explode and cause major injury. That’s why you should always wear protective gloves when handling chemicals that can cause skin burns. You should always follow proper procedures when transporting and storing chemicals. In some cases. If you’re at all unsure about a particular substance, you should familiarize yourself with it or ask an expert before handling it. It’s better to be safe than sorry. Because you’re often dealing with electrical equipment that you may not be fully familiar with when starting out, you should be cautious and take preventative steps to minimize your risk of shock or electrocution. This can be especially problematic whenever there is a water leak within an HVAC system. As water drips onto the electrical parts, it’s the perfect recipe for equipment failure and shock. Typically, the best way to stay safe is to turn off main circuit breakers beforehand. Not only should this eliminate the threat of electrocution, but it should prevent any expensive equipment from being damaged as well. One of the major mistakes done during installation according to Charles Deacon, External Sales and Marketing Representative of TROX Technik South Africa, is buying cheap products designs that will eventually lead to problems. “Products should revolve around being a permanent or long term solution and not a cheap aesthetically unpleasing alternative.” TROX Global has been known for its quality internationally since its founding in Germany in 1951. 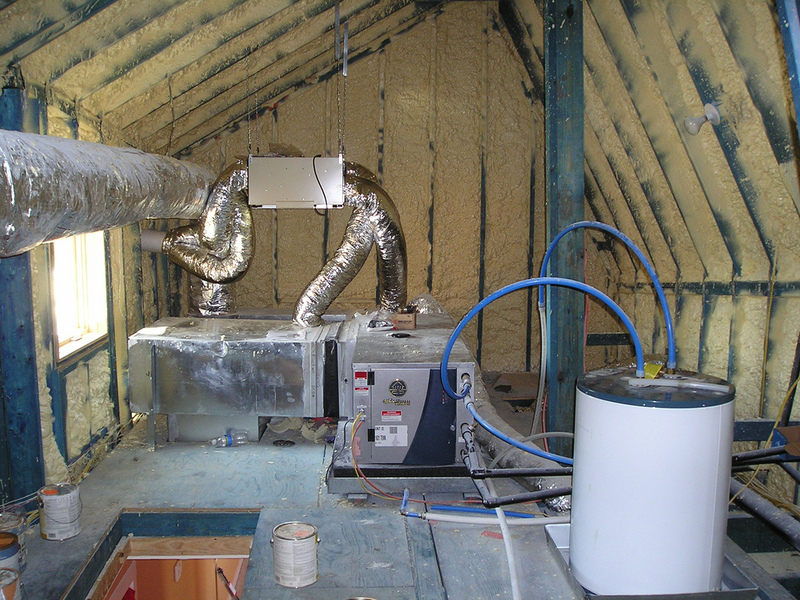 Often, HVAC products are not installed following the factory specifications. 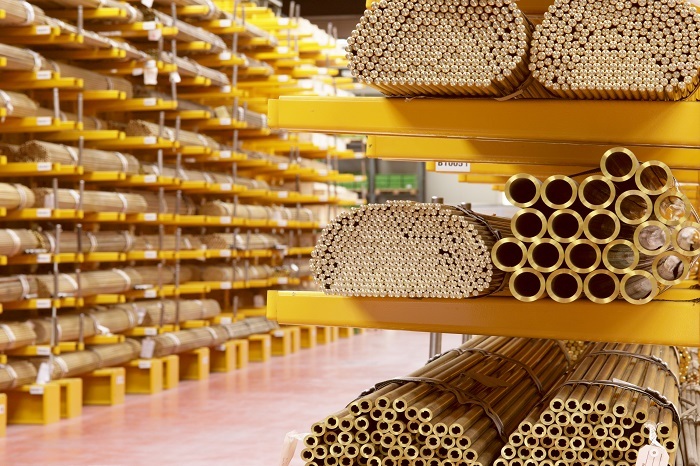 Federica Beretta, Advertising and Communication at Caleffi SpA emphasizes that this is the most common the cause of products malfunctioning. “In addition, we can say that sometimes the systems conceived by the installers or designers are not properly engineered,” said Federica. Tornsten Chief Marketing ,Strategy and M&A Officer at FläktGroup Holding GmbH adds that unit parameters not inputted correctly at start up phase and system inefficiencies is a mistake that may result to a major damage of the HVAC system. FläktGroup Holding GmbH is a German based company popular for their highest performance in car park jet thrust ventilation and cutting edge Ultra Sound VAV technology, in addition to energy and running cost reduction using EcoNet energy recovery system. 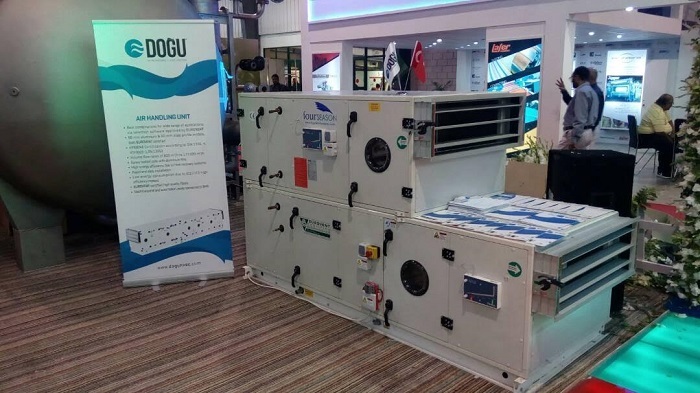 According to Mr. Nazar Bugabay, Export Manager at DOGU IKLIMLENDIRME A.S. another mistake made with clients is not seeking consultant’s advice during purchase hence end up getting the wrong type of HVAC systems. Andrew Koeslag of AIAC Air Conditioning South Africa (Pty) Ltd, a manufacture of of chillers, precision air conditioning and IT cooling solutions, comments that, installing the filter dryer backwards, poor workmanship, positioning of the equipment is another common mistake made during installation of HVAC Systems. Airedale has been majorly involved in large HVAC system projects in Africa including installations of the systems in Vodacom Company South Africa. Some of the ways user can increase the efficiency of his HVAC system According to Vildan Çavuşoğlu of Climacs is through having heat recovery sections and economizers sections with high efficient fans and motors. Vildavan also adds better thermal transmittance and thermal bridge valves can also increase the efficiency of HVAC system for AHU. Climacs is a Turkey based company that produces comfort type and hygienic type air handling units with all type AHUs (With heat recovery sections,mixing box and dampers). Moreover Anna Sartore, Export Sales Office at Frost Italy S.r.l. 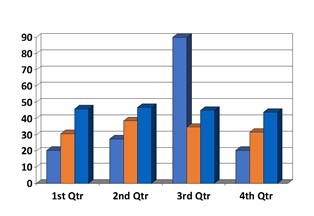 suggest that a user could use EC fans on his units in order to decrease the electric absorption. Cvsair A.S company is popular for their Jet fans, axial duct fans, circular inline fans and kitchen fans products which are produced in their own design and offered to customers with low energy consumption and with possible prices. For new installations, Taleih Halaby, Marketing Manager at Daikin MEA suggests one to look for products with inverter. This is more efficient. “Inverter will have the product functions better, faster, while saving energy, hence saving on the electricity bill & requiring smaller generators. Adding to this, Daikin Inverter AC’s are equipped as standard with AVS, making them operate in a wider voltage range, from 160 to 265 V”. 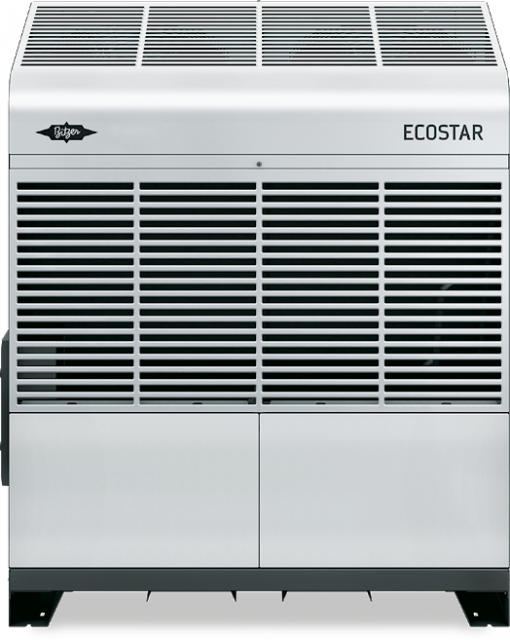 Phillip Dickinson, Business Unit Manager and Managing Director at Munters (Pty) Ltd South Africa points out that allowing free cooling, and humidification increases the efficiency of a HVAC system as there is no steam which also results to lower running costs. Munters (Pty) Ltd has been known for their direct and indirect cooling humidifiers products. 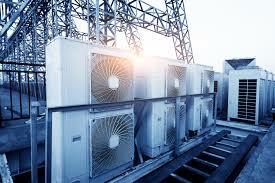 HVAC system maintenance is varied differently depending on the use and condition of the plant. Most systems will have 3 minor services per year and 1 major. Neil Alexander Cameron of Johnson Controls, popular for their York mini split units and Sabore units products used majorly in domestic complexes, smaller office parks, Breweries and factories that product food points out that using predictive maintenance we can extend these services in the first half of the chillers life. According to Tariq Zaffar, General Manager of BITZER Kenya Ltd, maintenance of HVAC systems involves regular monitoring the operating parameters of the system to ensure they are within the range of the systems design parameters.These include the suction and discharge temperature and pressures, lubricant level and condition, evaporation temperature and settings on the various controls on the system. Cleaning of the system is essential to the performance of the system. “Air cooled systems should be regularly cleaned to allow for free flow of air through the heat exchange fins and water cooled systems should be descaled regularly to prevent obstruction of flow of refrigerant and coolant. As part of maintenance, the correct and original lubricants, refrigerants and wear parts should be used in line with the manufacturer’s recommendation. Impure refrigerants, lubricants or counterfeit parts can cause instability in the system and lead to a catastrophic failure in the long run. Maintenance engineers should consult with the manufacturers’ manuals for maintenance guidelines and recommended parts and consumables. 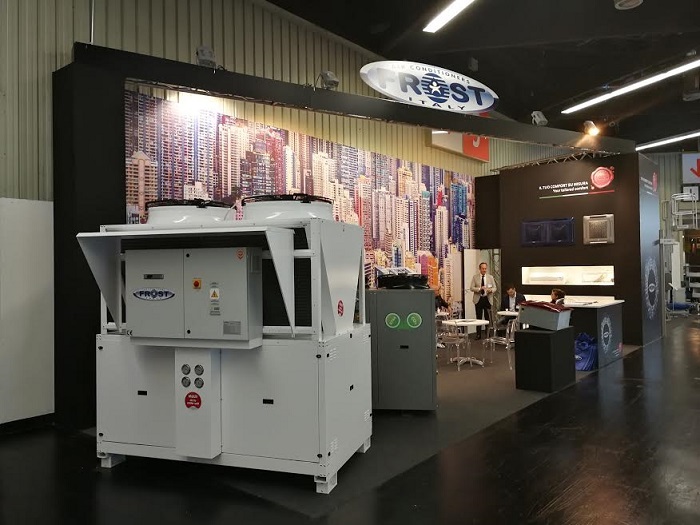 BITZER offers an extensive range of technical documents on all our products available for download free of charge from our website as well as the BITZER SPOT app,” said Tariq Zaffar. For a well installed mini split system, Kyriaki Papadopoulou, Marketing Director at Inventor says there is no much maintenance need, consumers just need to clean the filters every one or two months. However for a VRF system, she points out the need to have engineers check the system once per year. 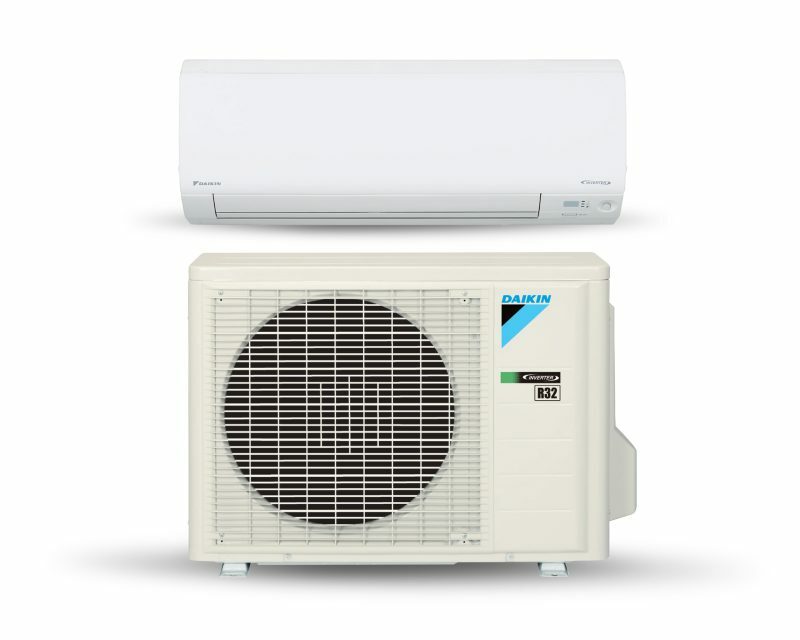 One of Inventor air conditioners unique selling aspect is the inverter technology, which offers to consumer, energy saving, fast to cool down the room and keep the room in precious temperature.